Oregon Right to Know, a grassroots campaign to label foods using genetic modified organisms (GMOs), said it was actively collecting signatures to get its measure on the November ballot in Oregon. Meanwhile, the citizens of one county in the state will vote next week whether to ban modified products from their stores altogether. "It's going to be a major effort," Sandeep Kaushik, spokesman for Oregon Right to Know, told Reuters. "We believe that people have a right to know what's in the food they eat and feed their family." 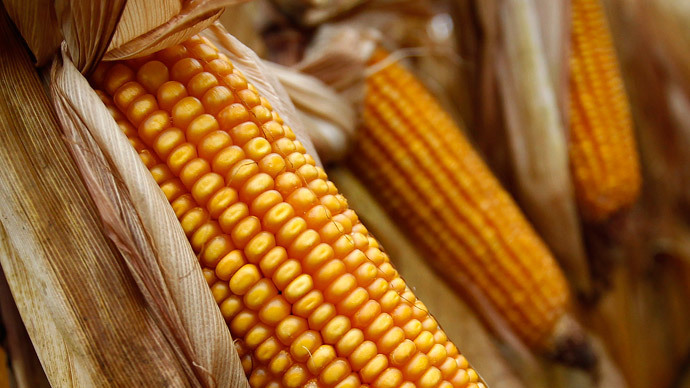 The group must collect 87,213 signatures by July 3 for consideration of the bill, which if it passes would require companies that sell GMO food to begin labeling their products by January 2016. The campaign has already raised about $826,000 in donations so far this year, in addition to $621,000 in cash. Activists say consumers have a right to choose between products that are genetically engineered, especially given the questionable health and environmental impact of the crops, and products that are grown without genetic modification. "We have a right to know important information about the food we eat and feed our families," Aurora Paulsen, an attorney at the Portland-based Center for Food Safety and a co-petitioner of the initiative, told the Oregonian. "We should have the right to choose whether we want to buy and eat genetically engineered food." As opposed to other developed countries, the United States does not require GMO products to be proven safe for consumption, despite significant safety concerns. “A review of the scientific literature shows there are still open questions about the safety of genetically engineered foods, with independent studies finding some evidence of adverse effect, while other studies, often funded by industry or performed by industry-affiliated scientists, tend to find no safety problem,” Michael Hansen, senior scientist with the Consumers Union, said in a statement. "This will provide Oregonians with the knowledge needed to make informed decisions about the foods they purchase and consume, and to identify any potential health problems that may arise from consumption of such foods." Genetic engineering is different than conventional food cultivation and raises potential health issues, Hansen says. Meanwhile, the growing consumer backlash against GMOs is forcing new requirements on the products. Vermont earlier this month became the first state to mandate GMO labeling. However, the powerful GMO industry insists their products pose no threat to public health, and that enforcing mandatory labeling will only increase costs. Patrick McCormick, who supported efforts against GMO labeling in 2002, expressed his doubt over the benefits of labeling. "In the end, they don't provide meaningful information to the consumers on the product," he said. Sixty-four countries require GMO product labeling, including 15 nations in the European Union, as well as Japan, Russia and China.